Do you know how to travel hack with almost no credit cards? 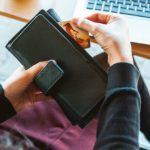 A common misunderstanding about travel hacking is that you have to apply for many travel rewards credit cards every 3 months in order to have success at booking a vacation on miles and points. This is not true. Everyone’s credit card needs and comfort levels are different. You should never take on more credit cards than you can responsibly handle. You must consider whether or not you can pay off your bills at the end of each month. 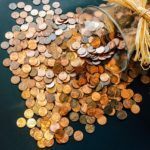 The amount of minimum spend to earn the bonus must be manageable. Why sign up for a card if you can’t meet the minimum spend and miss out on the sign-up bonus? In addition, people travel hack with different goals in mind. The amount you wish to travel, with how many people, and your top destinations all determine what credit cards might be right for you. I love to travel and take every opportunity to explore new and favorite destinations. I’m comfortable with a fairly ambitious approach. It suits my travel goals and style. You can travel hack with just a couple of credit cards! However, many people want to take 1-2 vacations a year without it busting the budget. In fact, in 2014, many Americans took between 5-20 vacation days. If these same people applied my exact credit card strategy, it would not only be unnecessary but they’d also hypothetically earn miles and points they wouldn’t need and might even go to waste. If you’re looking to take 1-2 vacations a year, you don’t have to apply for a lot of credit cards to be successful at travel hacking some or all of your travels. Depending on what your goals are, you may only need 2-3 credit cards to help you book most or all of a trip with miles and points! Let’s look at a few (of the many!) 2-3 credit card scenarios you might use to book award travel for your next trip. 1. Apply for the Chase Sapphire Preferred and the Starwood Preferred Guest Card (SPG) from American Express. Chase Sapphire Preferred is arguably the best travel rewards card out there. 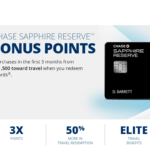 With Chase’s new 5/24 rule, Chase Sapphire Preferred should also be the first travel rewards credit card you get. 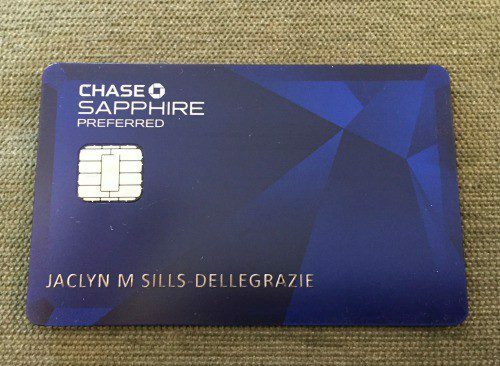 Chase is now denying approval for their Ultimate Rewards Credit Cards like the Sapphire Preferred if you’ve applied for 5 credit cards from any bank within the last 24 months. This is my favorite miles and points earning credit card! You earn 50k Chase Ultimate Rewards points after spending $4k within 3 months. If you add an authorized user and that person makes a purchase within the 1st 3 months, you get an additional 5k point bonus. You’ll earn 2x the points on travel and restaurant spending. The card has no foreign transaction fees and comes with a $95 annual fee, which is waived in the 1st year. Chase UR points are also highly valued. Chase has airline and hotel transfer partners to use your points for travel award redemptions. These partners include United, Singapore, Southwest, British Airways, KLM, and Hyatt. The SPG card comes with a sign-up bonus of 25k SPG points after spending $3k within 3 months. The annual fee is $95, but it’s waived the 1st year. This card comes with no foreign transaction fees, free in-room Wifi, and free Boingo Wifi membership. Even though SPG was recently acquired by Marriott, SPG points are valued highly. Their hotel properties tend to be more upscale, not to mention the more than 30 airline partners to which you can transfer points. For every 20k SPG points, you transfer to one of their airline partners, you get a 5k mile bonus, making the actual transfer 25k miles for your selected airline. In addition to all the benefits that come with these 2 credit cards, the Chase Sapphire Preferred and the SPG American Express are long term cards. The points these cards earn are so valuable, they’re excellent to use for everyday purchases and bills. Having the cards long-term will also increase your credit score…as long as you pay your bills each month! Read more about the no annual fee Chase Freedom card. It’s the perfect companion to the Chase Sapphire Preferred card because it supercharges your Ultimate Rewards Points earning potential. It should also be one of the first cards you consider getting given the new 5/24 rule. Or, learn about the Southwest Companion Pass and how you can earn it and get free travel anywhere Southwest flies for a companion for nearly 2 years! Ready to plan a 5-night getaway to Cancun, Mexico for you and another person, with just the Chase Sapphire Preferred and SPG American Express? Tough choices! You will need to decide whether to sit on a lounge chair by the ocean or by the pool! Mexico is a top destination for many Americans. Tens of millions visit each year, even more than the number of Americans who visit Canada. The Westin Resort & Spa in Cancun, Mexico is a Category 3 Starwood hotel. To book a Category 3, you need 7k SPG Points per night. It gets even better when you stay 4 nights on points, the 5th night is “free.” Starwood takes the 28k point total needed for 4 nights and averages it over 5 nights. This brings the per night points needed down to 5.6k SPG Points for each of the 5 nights. At the Westin Resort & Spa, you can book a deluxe lagoon view room with 2 double beds or 1 king bed for 28k SPG Points for a 5-night stay. The hotel sits on a private beach facing the Caribbean Sea and Nichupte Lagoon and has 4 swimming pools. Take part in water sports, like snorkeling or parasailing, get a spa treatment, or just relax in the sun! After meeting the minimum spend and earning your 25k SPG Points, you’ll have enough points to book the Westin Resort & Spa for 5 nights! Warm sand and crystal clear water all “paid for” with miles and points! Many airlines fly into Cancun’s International Airport. American, United, Delta, Southwest, Alaska, Frontier, Spirit, Virgin America, and JetBlue all have regular service to Cancun from the continental U.S.
Southwest award tickets from 8 U.S. airports fluctuate depending on the cash price of the ticket. Wait for a Southwest sale to book with the lowest possible miles needed. 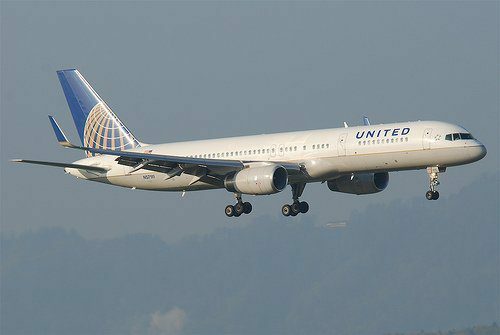 United has flights to Cancun for 35k miles round-trip and award availability is typically available from any U.S. airports. If you’re flying from New York’s JFK, Chicago, Dallas/Fort Worth, or Miami, consider using British Airways Avios. 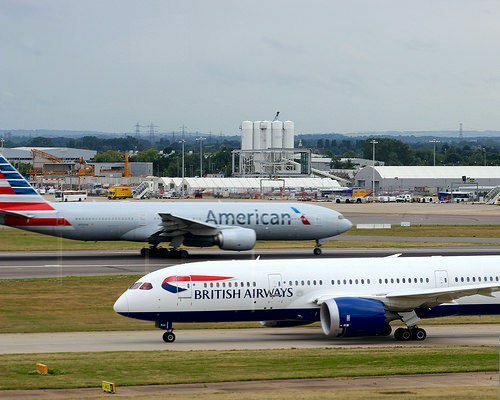 British Airways has a distance-based award chart, making short-haul flights a great value. Round trip flights from New York or Chicago are 20k Avios. Dallas/Fort Worth and Miami are only 15k Avios round trip! 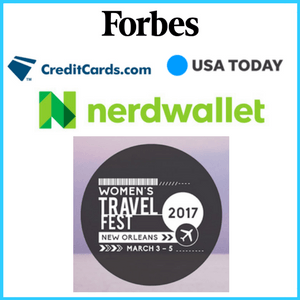 After earning your 55k (including authorized user bonus) Chase UR points, go the airline websites to check for availability. Once you have found the award flights you want, transfer the number of Chase UR points for you and your travel partner to one of Chase’s transfer partners, British Airways, Southwest, or United. Remember to compare all your award flight options, including any taxes and fees, the number of stops if any, seat class, and flight duration. You’ll get the best value from your miles and points when you consider factors like your budget and what you need to be comfortable on your flight. Sun and sand not your thing? Maybe you’d prefer to hit the slopes, like me! 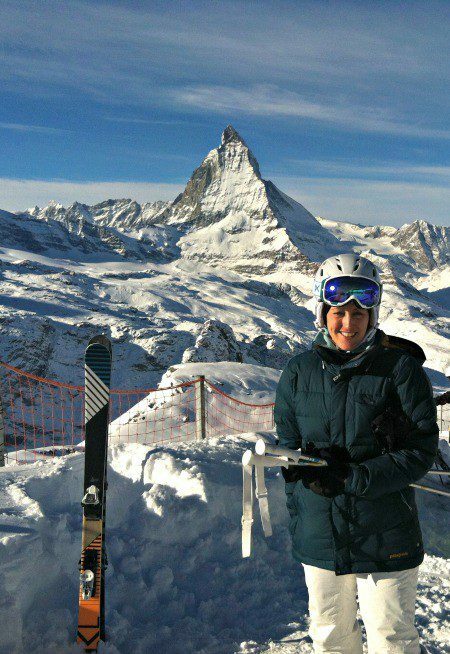 Skiing the Swiss Alps…of course, with miles! Mont Tremblant, in Quebec, Canada is the #1 Ski resort in Eastern North America for 7 years in a row, as ranked by Ski Magazine. Le Westin Resort and Spa in Mont Tremblant is a Category 4 Starwood hotel for 10k SPG Points a night and just 8k SPG Points a night when you stay 5 nights. For 3 nights at this ski resort, you’d need 30k SPG Points for a traditional non-smoking room with a queen bed.The SPG points earned from the sign-up bonus would just about cover the amount needed for 3 nights. You could also use the card for everyday expenses to earn 15k more SPG points and stay for 5 nights! Wide open slopes always clear your head, especially when the experience is with miles and points! From Philadelphia and New York’s JFK, you can fly round-trip for 15k British Airways Avios. Flights from Chicago and Charlotte cost 15k Avios round-trip. You’ll need 20k Avios from Miami and Dallas/Fort Worth. United, and its Star Alliance partner Air Canada, fly to Montreal for 25k miles round-trip. If you’re flying from one of these regions, the best choice is to check for award availability and transfer your Chase UR points to British Airways. If the above departure cities are not convenient, a 2nd good option is to transfer your Chase UR points to United. Either way, you’ll have the miles needed for 2 round-trip tickets! 2. Apply for the Chase Sapphire Preferred, the Club Carlson Visa, and the AA Citi Platinum Select credit cards. The Club Carlson Visa offered by U.S. Bank comes with an 85k point sign-up bonus. You get 50k points for making your 1st purchase and 35k points after spending $2, 500 within 3 months. This card gives you Gold Elite Status and gets you 10x the points per dollar spent at Club Carlson Hotels and 5x the points per dollar spent on everything else. The $75 annual fee is not waived the 1st year. Club Carlson Hotels include brands like Radisson, Radisson Blu, Park Plaza, and Country Inns and Suites. The AA Citi Platinum Select card offers between 30k and 50k American Airline miles as a sign-up bonus. Obviously, it makes sense to get the card during the higher bonus periods. (The above link is the best offer I could find at the time of this update.) The card gives you 3x the points on travel and gas and 2x the points on dining and entertainment. 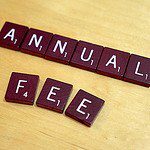 There are no foreign exchange fees and the $95 annual fee is waived the 1st year. With these 3 cards, you can plan a week in 3 European countries! Let’s fly into Budapest, Hungary, take the train to Krakow, Poland, and finish in Berlin, Germany. American Airlines partners with AirBerlin and Finnair in the OneWorld Alliance. Using American Airlines’ off-peak awards to Europe, you could fly one-way to Budapest for 22.5k miles. With a 50k sign-up bonus on the AA Citi Platinum Select, this would be enough for you and a companion. 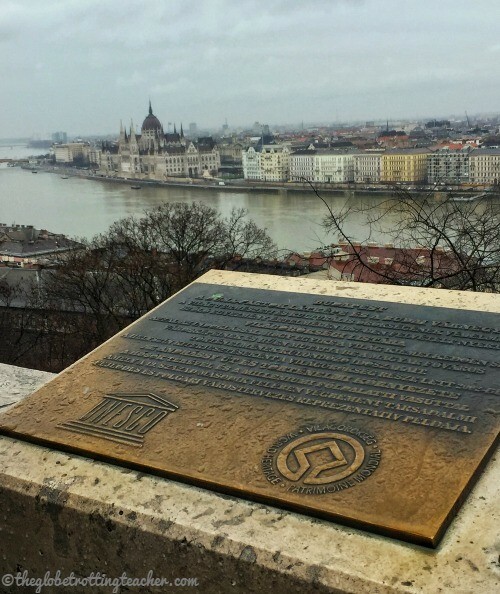 Budapest is an absolute gem of a European city! You’d then book your return flight using your Chase UR Points. You can fly one-way from Berlin on United of one of its partners for 30k miles. You can make up the 5k mile difference by maximizing the 2x the points category bonuses on travel and dining. Using the Chase or United shopping portals and dining programs will also get you those last 5k miles quickly! Club Carlson is known for their Radisson Blu boutique-style hotels throughout Europe. 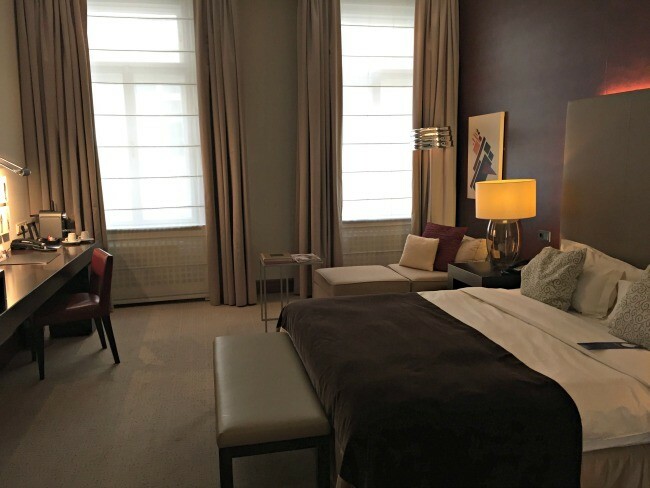 The high-end Radisson Blu Style in Vienna was very nice! You can stay at the Category 2 Radisson Blu Beke in Budapest for 2 nights for a total of 30k Club Carlson Points. Head to Krakow on the train and stay 2 nights at the Park Inn Krakow. You’ll need 28k points per night for this Category 3 hotel. Finish your trip by staying 2 nights at the Art’otel Berlin Kudamn for a total of 30k Club Carlson Points. To get all 6 nights paid for with points, you’ll need 116k Club Carlson Points. The sign-up bonus is 85k points, leaving a 31k point difference. After checking the cash rates at the all 3 of these hotels, decide how you’d get better value out of your points. Pay cash for 2 nights at the more inexpensive hotel and save the points to cover the other 4 nights. Krakow, Poland is an increasingly popular European city to visit! Club Carlson points are also very easy to earn. Use the card to pay for your bills and everyday expenses and earn 5x the points on everything to help make up the difference in points. Be sure to register for Club Carlson’s frequent promotions. They can give a strong boost to your points balance! Do you need to apply for tons of credit cards to earn award travel for your next trip? No! Travel hacking with almost no credit cards is possible! You can book travel for your yearly vacation days for cheap and even for free by only applying for 2-3 credit cards! Where do you want to go? How would you use your miles and points? Like this post? Please share it on social media using the share buttons below! Then, stick around and read some more! 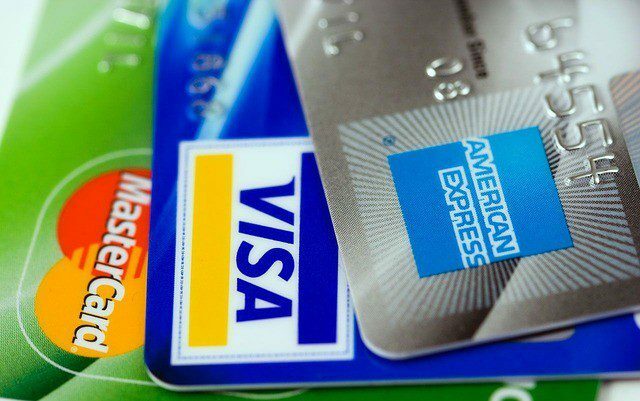 Reader’s Question: Should I Pay the Annual Fee on my Credit Card? Thank you for all your help Jackie with getting me & Dave to West Palm Beach for $22.oo! 2 credit cards (3 months worth)- Amazing!!! My pleasure! I’m so excited for you both, Lori! I hope you have a great time in Florida! I travelled 3 years in South America (straight) without a credit card. I totally disagree that you need a credit card to travel, however, I am willing to try your suggestions. I am just not a fan of credit cards and I want to live as simple as possible. Cash always works. Thank you for the post. I bookmarked this just in case I change my mind in the future. Thanks Trisha for your comments. I totally respect how you feel. Many people aren’t comfortable having a lot of credit cards. I don’t think you need a credit card to travel, but there is incredible value to gain from travel rewards credit cards. Using miles and points earned from credit cards has gotten me (and my husband) free flights to numerous countries in Asia, South America, and Europe, not to mention flights within North America. The money saved on flights alone is undeniable. I also think the budgeting strategies for slow travel are different than for people planning a 1-2 week vacation. I use cash when traveling only when necessary. I always try to get a return on my money by using a credit card to earn miles and points for future travel. Thank you again for your thoughts! Great advice! We love travel hacking, and totally agree, you don’t need a ton of cards to get the job done! One of my favorites is the Club Carlson card. Thanks for showing what is possible with only a few cards! Absolutely, Jenna! There is so much to gain by applying for just a few cards. I love Club Carlson, too, but I was sooo sad 🙁 they got rid of the 2nd night free on award bookings. Thanks for sharing your thoughts! Thanks Amelie. I hope you find them helpful for your future travel planning! Great tips! I just applied for the SPG and Citi Premier cards. I’m saving my SPG points for hotels in Europe (when we move to Germany next year) and hopefully I can get a roundtrip ticket to Tanzania with my Citi Premier points! Thanks, Christa! Sounds like you are on your way to earning a bunch of miles and points…which is soooo exciting! Citi has recently improved their transfer partners. If you’re flying from Europe to Tanzania, be sure to look at KLM awards from Amsterdam or a Star Alliance partner like Singapore Airlines to fly on Swiss Air from Zurich. Thanks for this intro on travel hacking. I’ve been hesitant to do it because it does seem like you have to sign up for countless cards to make it work, thanks for showing us that’s not the case! Totally understandable, Brianna. A lot of people are weary about applying for a lot of credit cards. It’s important to start slow, set some travel goals, and only do what you are comfortable with. Thanks for your thoughts! This is amazing. I wasnt even aware this was a thing. I will have to check if and how that works in Germany or the UK. Thanks for sharing! I felt the same way when I first discovered travel hacking, Eva! I kept asking what the catch was?!? Hope some of the tips end up being helpful for you! We’ve appreciated the Chase Sapphire card, too. And we’re on our way to Budapest…. That’s so great, Kristin! Would love to hear all about your trip. 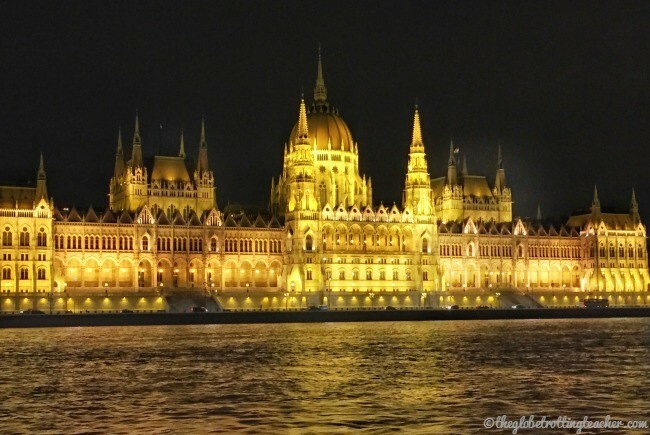 My husband and I are heading to Budapest too in a few months! Of course, we’re flying on miles. Hope you enjoy! Thanks for your comments, Kate. For economy, short-haul flights, BA Avios still retain a strong value. I wouldn’t recommend, for example, anyone use them to book a transatlantic flight from New York to London. The taxes and surcharges are too high and a bad deal. Examples of great ways to use Avios could also include, Boston to Dublin or Shannon and Los Angeles to Hawaii. A round trip economy seat is just 25k Avios per person. Wow, I truly had no idea! I have a credit card through my bank here in Canada that is in partnership with Westjet, it’s like to be able to get something in return for using your credit card; though, it doesn’t seem to turn into a lot. I’ve really had my eyes on the Chase Sapphire card for the past few years, it might be time to make the switch sometime soon, probably once I’m able to spend $4k within the first 3 months. xD So… next trip planning time I will be making the switch and now, thanks to you, I know my options and what I can do with it! 😀 Thanks for sharing! So glad you learned what a great travel rewards card Chase Sapphire is! Once you’re able to make the switch, you’ll be well on your way to reaping some of the card’s award travel benefits.